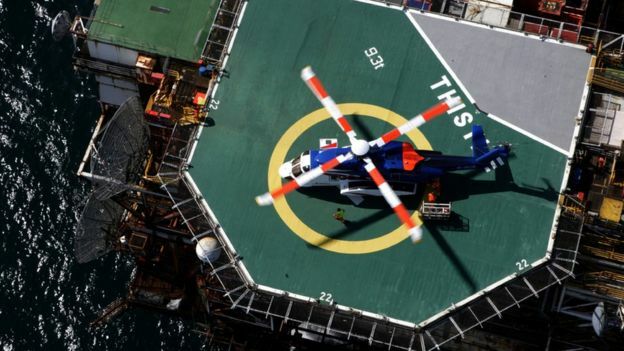 Production has been partly shut down on a North Sea installation after a gas leak was detected. 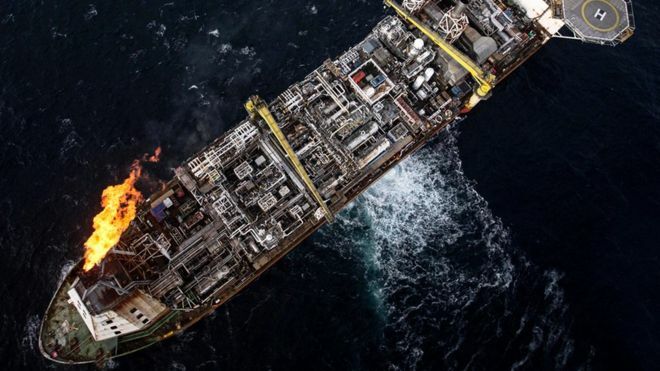 Dana Petroleum said there was no safety risk from the release, which was detected in the past week on pipework on the seabed beneath the Triton floating production, storage and offloading vessel (FPSO). It happened 120 miles east of Aberdeen. The company said a small amount of gas escaped before the problem was isolated. The situation is being assessed before repairs are carried out. A spokesman said: “Dana can confirm production is partially shut in on the Triton FPSO following identification of a gas leak on subsea gas lift infrastructure which was isolated and made safe. “The FPSO is continuing to operate with reduced production with its normal crew of 60 on board. Hurricane Energy has announced it’s claim of the “largest undeveloped discovery on the UK Continental Shelf” after releasing details of a mega-find to the West of Shetland. 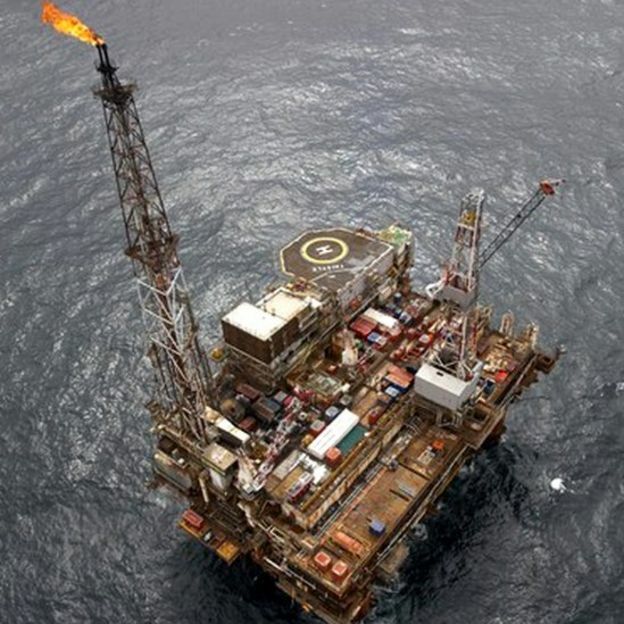 The find could provide up to 1 billion barrels of oil equivalent (boe) in what is hailed to be the biggest find in the North Sea since Nexen discovered the Buzzard Field in 2001. The field will be capable of producing oil “beyond 2050”. However hurricane isn’t expected to have sole ownership of the field as neighbouring acreage has been bought by BP and Shell in the most recent licensing round, making them likely partners for Hurricane Energy. Hurricane’s stock increased by 11% upon making the announcement. Ashley Kelty of securities firm Cenkos said: “It’s absolutely colossal. “It appears to be one structure that runs some 18 miles north-east of Lancaster up towards Halifax. “It would be quite easy to say it is 800million barrels and it probably wouldn’t be difficult to get to a billion. The super find comes in stark contrast to many stories that Scotlands oil is running out, and reinforces Oil and Gas Peoples 2014 Investigation that Scotlands Western Frontier or Atlantic Margin could see a whole new generation of oil and gas exploration. Hurricane Energy’s Chief Executive Officer Robert Trice said: “We believe that the Greater Lancaster area is a single hydrocarbon accumulation, making it the largest undeveloped discovery on the UK Continental Shelf. First Oil from the massive field is expected in 2019.
oil workers have been left fearing they will develop cancer after being exposed to radiation while on a North Sea platform. They had been contacted by rig operator EnQuest to remove pipework when they were made to work in close proximity to the material. The men were under the impression that proper risk assessments had been carried out ahead of their arrival. But they were only told 12 hours into the job that the environment they were working in was unsafe. undergoing planned shutdown activities at the time. The offshore workers were removing a piece of pipework when they were exposed to naturally occurring radioactive material, rig operator EnQuest confirmed last night. Steve Innes, a rigging supervisor from Sunderland with 20 years’ offshore experience under his belt, was one of the six people affected. He said: “It was a shutdown so there was a lot of potential contamination. “But we were all cleared to go back to work. So we spent a full 12-hour shift, with no protective equipment, in 40mph winds with all those particles in the air. All the dust was all over the scaffold. “We received our permits to say all the tests had been done and we were safe. 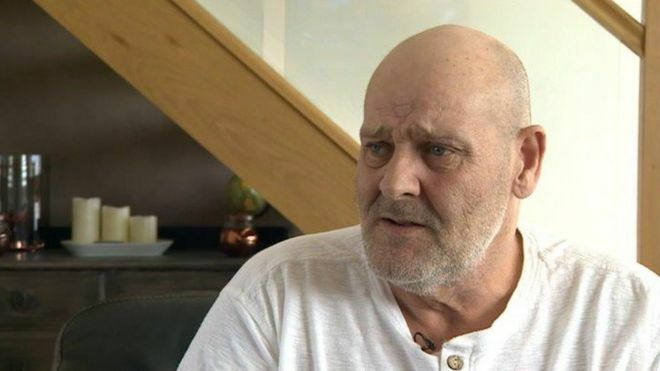 “When we got back they told us we should be safe but that they couldn’t guarantee that we wouldn’t develop cancer or leukaemia further down the line because of the exposure. “It’s a terrible situation. We were told they broke their procedures but not much else has been done. A spokeswoman for Enquest said: “EnQuest can confirm that, in December 2016, during planned shutdown activities on its Thistle platform, six personnel employed by Wood Group under a contract with EnQuest were removing a piece of pipework when they were exposed to low levels of NORM (naturally occurring radioactive material). “The level of exposure was less than 1% of the level at which it is reportable to the Health and Safety Executive (HSE). However, EnQuest advised the HSE of the matter at the time. John Boland, the regional officer of the Unite union which represents Wood Group employees, said: “We have tried to contact Wood Group and they are not being forthcoming to us. They have told these men they could develop leukaemia or other cancers but now seem to be walking away. The Press and Journal could not reach Wood Group for comment. However, a spokesman for the service firm reportedly told other media: “The health and safety of our people is always our top priority. “As a precaution following the incident, we down-manned our employees from the platform in order to conduct medical assessments. investigation and continue to reinforce the application of our health and safety procedures, to ensure the safety of our employees. A spokesman for the HSE said as no staff raised the issue no investigation has been carried out. Offshore Coordinating Group are Hitting the Road and Coming to YOU! Do you want YOUR say? We want to hear what you have to say, come along and visit us at one of our road shows, more venues to be confirmed! Glasgow Premier Inn, George Sq. If you work offshore and not yet a trade union member, is it not time that you joined an offshore trade union? Can you afford not to Join?